Grocery shopping is almost always about necessity. We need eggs for breakfast, or your kids need bread for tomorrow’s lunch. It’s usually something we try to squeeze into our busy schedules. But when your “quick” trip to the store after work turns into a 90-minute expedition for cereal, it’s time to switch up your grocery shopping routine. First tip: shop on Wednesdays. 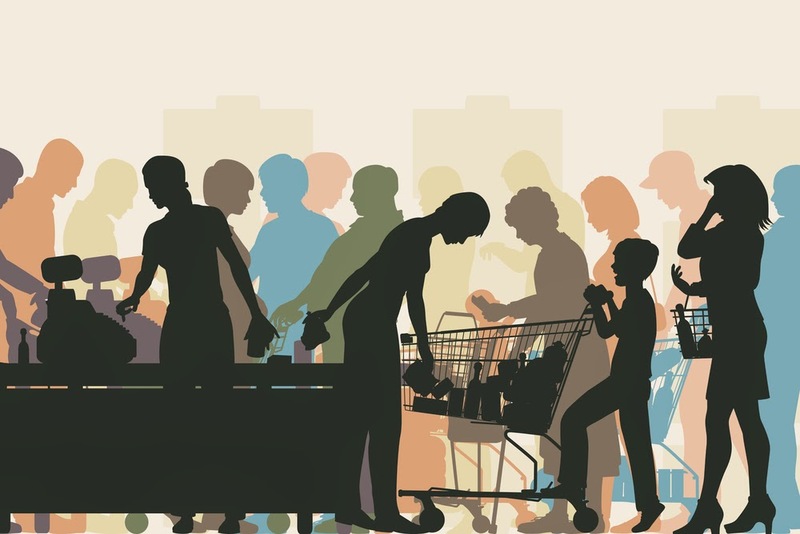 Saturdays have an average of 41 million grocery shoppers, as opposed to Friday’s 35 million, and Wednesday’s 30 million. Not only do Wednesdays tout the smallest grocery-shopping crowd of the week, but they also promise the week’s best discounts. Another reason hump day is the best day: most grocery couponing programs begin on Wednesday, which means that in addition to the newest coupons, the discounts that might technically expire on Tuesday are often still accepted. Double the discount, almost 30 percent fewer people, and the promise of freshly delivered products on Wednesday mornings make Wednesday our favorite shopping day. Second tip: timing is everything. Earlier in the day, especially on Mondays, Wednesdays, and Fridays, everything perishable is fresh. If you can’t make it there in the morning, try shopping from 1-4 PM; you’re getting some of the freshest products of the week, and you’re shopping smarter. Studies show that shoppers at midday tend to buy less caloric foods than shoppers around dinnertime—probably because hungry shopping at 6 PM yields more fattening splurges than healthy snacks. If neither of these work for you, at least guarantee yourself an easy, mob-free shopping experience. Try after 8 or 9 PM; stores will be empty, employees will be friendly, and you end your day with a satisfying accomplishment. Third and final tip: Avoid Tuesdays. The worst night of the week to shop is Tuesday. Not only is it the last day of most couponing and discount programs, but it’s also the most popular night of the week for homemade meals nationwide. Cue images of hungry shoppers fighting over the best cut of meat at the deli counter and scrambling for the last of the on-sale granola bars. Stick to Wednesdays. Of course, grocery shopping and the shopping rush can be avoided entirely with online grocery shopping services. But if you absolutely cannot abandon your neighborhood grocery store, we recommend shopping smarter to make it more cost- and time-effective.